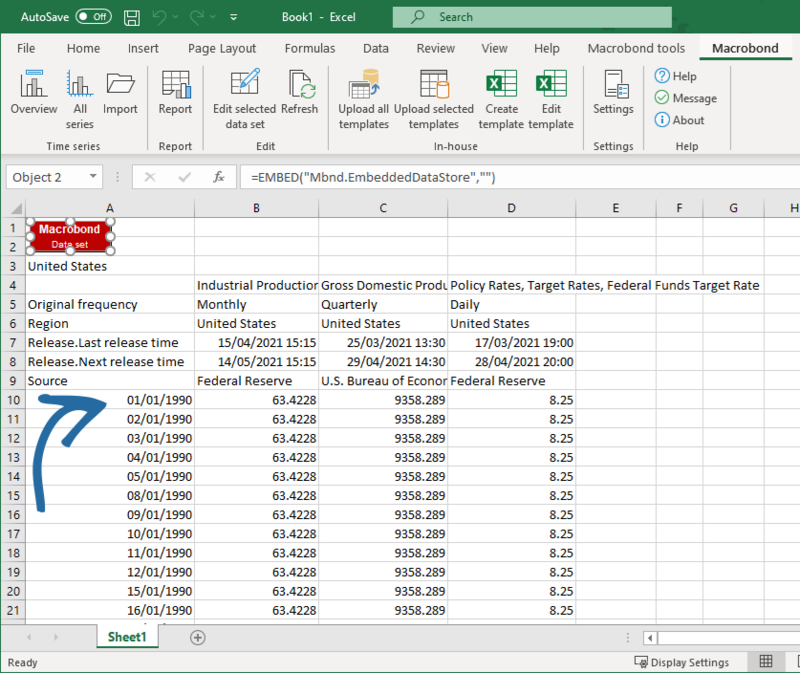 When downloading data from the application database to Excel, you will need to select one of two download modes: processed or raw. The primary difference between the two options whether or not start dates and/or frequencies have been harmonized. Which one of the options you select will effect which settings that are available to you from the download panel. 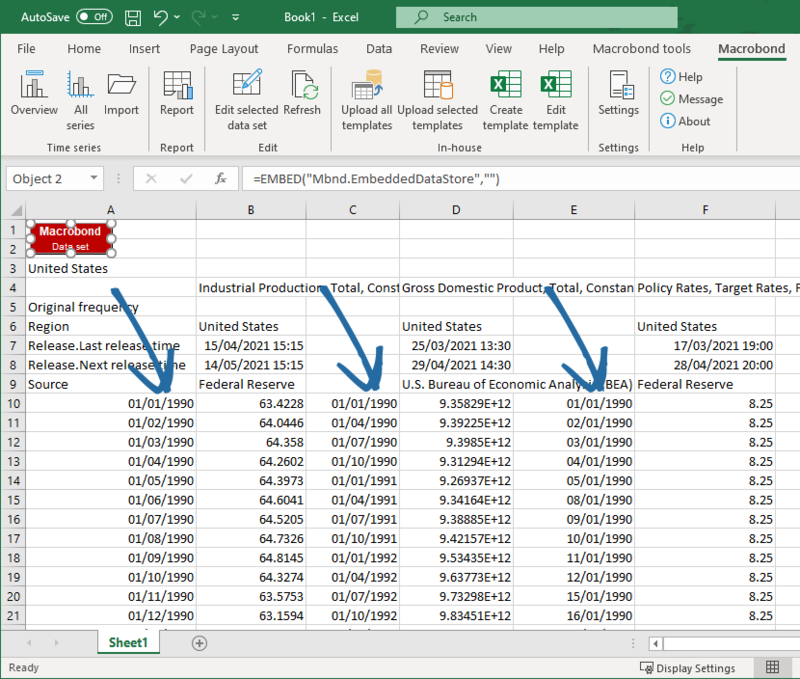 Processed mode offers more settings for adjusting data before you download it and allows you to harmonize the dataset in terms of frequency and start date. You can also apply calculations through that mode. Raw mode is useful when you want to download multiple series while keeping their original form in terms of frequency, scale, etc.